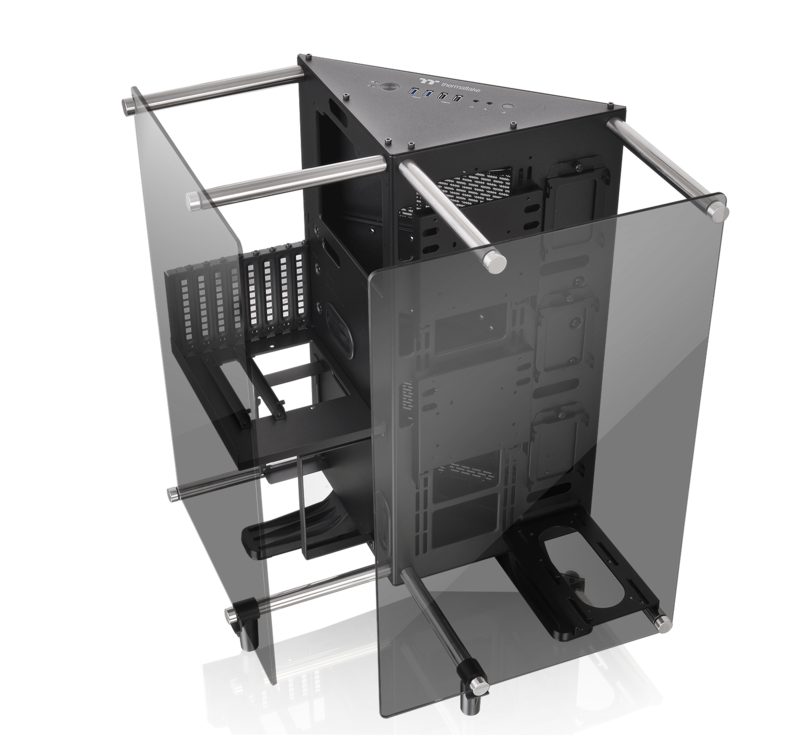 Case manufacturers have been spending a lot of time on creating aesthetic edges these days, but Thermaltake has arguably gone further than most and pushed the envelopes of chassis layout as well. For example, the Core G3 and its SFX-only PSU mount meant the case was supremely thin, while the likes of the Core P1 open air cases provide a wall-mountable chassis that's great for showcasing your shiny mini-ITX hardware. The Core P90 enlarges the Core series chassis, and despite it weighing nearly 20kg it's still wall-mountable like its siblings. It's enormous and costs close to £200, but amazingly it isn't the most extreme Core case, with that honour going to the £300 Core P7, which offers a trio of radiator mounts. However, the P90 is still a monstrous case with a footprint that covers several post codes. This is partly due to the addition of a second side, which creates a huge triangular prism that's actually largely empty inside. The likes of the Core P1 have one side, of course, but the Core P90 also sports the same protruding tempered glass panels that see the depth stretch to a massive 615mm. 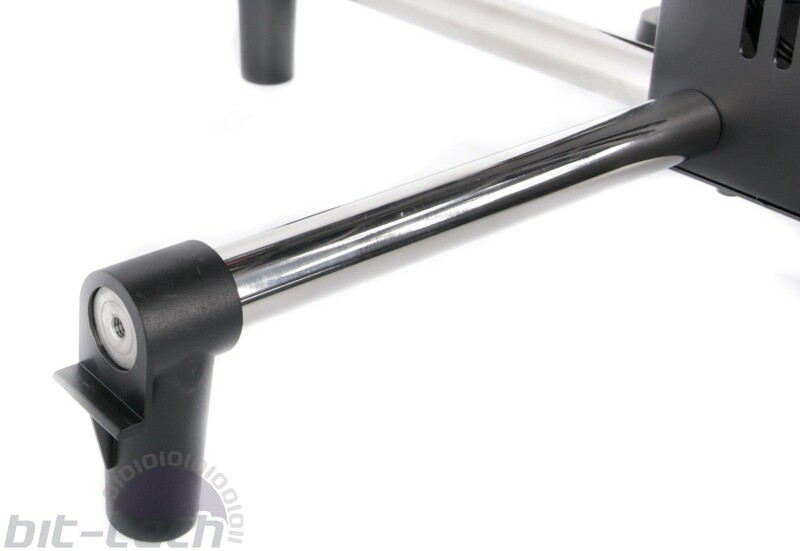 Once again, we can't fault build quality, which is as solid throughout as you'd expect from a hefty 17kg steel chassis. However, those glass panels do make the Core P90 extremely front-heavy - so much so that you need to use plastic supports to prevent it toppling over. We suspect these may be an afterthought, as they do stick out like sore thumbs, but the only alternative would be a third support leg protruding out from the middle, which would probably look even worse. Alternatively, you can lay the case on its back using included rubber feet for a kind of tempered glass-covered, triangular test bench. There aren't too many snazzy features included considering the price, with just a standard front panel with the usual ports and buttons too - no RGB lighting, fan controllers, or USB 3.1 Type-C here. However, the main treat, at least for those that like a bit of DIY, is that the case needs to be built with a huge array of bits in the box that you'll need to contend with, including a PCIe riser cable that allows you to make use of the vertical GPU mount. Coupled with a DIY water-cooling system, you can kiss goodbye to a whole weekend as a bare minimum, although that's largely the point of a chassis like this. Drive bays 3 x 2.5", 4 x 3.5"/2.5"